Yesterday, Microsoft has released the Consumer Preview of Windows 8 Operating System.You can download the Windows 8 Beta (Consumer Preview) here. 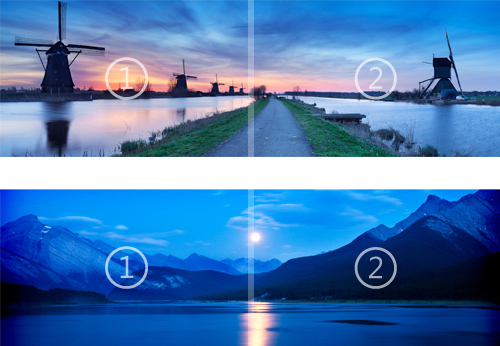 Now Microsoft has released the First Windows 8 theme preview for Windows 8 Public Beta named “Nightfall and Starlight Panoramic”. Designed to extend seamlessly across dual monitors with identical resolution settings, this dramatic free theme for your Windows 8 Consumer Preview desktop also shifts your glass color to match each stunning, wide-angle image. Explore distant galaxies, verdant meadows, steep mountains, and serene seas without ever leaving your chair. Download Link Windows 8 Theme. This theme can only be used in Windows 8 Consumer Preview or Windows Developer Preview and Windows 8 RTM.